Romsdal and Kingston Hill can’t be separated at the head of the betting for the Ladbrokes St. Leger with a host of top trainers represented at the entry stage. 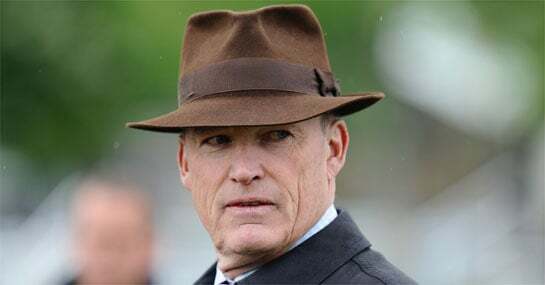 The former of the pair and 5/1 joint-favourite is just one of five put forward by John Gosden ahead of the final Classic of the British Flat racing season. Aidan O’Brien, a winner in last year’s contest with Leading Light has entered seven charges, including Irish Derby runner-up Kingfisher and Granddukeoftuscany. Meanwhile, five-time St. Leger victor Saeed Bin Suroor is another trainer showing a strong-hand with King George V Stakes hero Elite Army (6/1) and True Story (16/1) both set to be involved. Here’s an early look at some of the plot lines and talking points, in preparation for the September highlight. Will a bit of rain tip the race in favour of Kingston Hill? Romsdal is likely to be a major threat over the St Leger’s 1m6½f trip but with a bit of give in the ground the market’s attention could switch its focus onto Roger Varian’s Kingston Hill. A winner at Doncaster on soft in last year’s Racing Post Trophy, the talented three-year-old was a subsequent game Epsom Derby second. Rain will undoubtedly help his cause as he makes the step up in trip and could be the key ingredient to ensuring the race goes in his favour. Is this a weak crop of entries from Aidan O’Brien? Kingfisher stands out at the best of the Ballydoyle bunch but even his best form isn’t too much to get excited about, despite an admirable runner-up performance in losing out to Australia in the Irish Derby. One of the largely unproven Indian Maharaja, Granddukeoftuscany, Adjusted, Annus Mirabilis, Blue Hussar or Buonarroti would have to do something special to take the spoils. Could we see a lively longshot bolt up? Eight out of the 12 previous winners have come from the first two in the market with the Gosden-trained pair of Arctic Cosmos and Masked Marvel both proving surprise champions in 2010 and 2011 respectively. The Newmarket trainer’s Cloudscape is currently a 14/1 chance who looks unlikely to cause a shock. However, Mark Johnston’s progressive Queens Vase and subsequent Bahrain Trophy winner Hartnell could offer plenty of value at 7/1.